Laos is the most heavily bombed place on earth, per head of capita. Every year farmers and children still die or are maimed from accidents involving unexploded ordnance more than 40 years old. Phonsavan is in Xieng Khouang Province, the most heavily UXO contaminated province in the country. Lone Buffalo students have produced short films to warn others about the dangers in our communities and our teachers have created a lesson plan with background material. 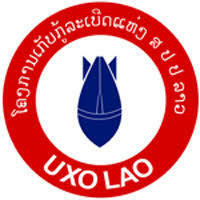 Download our student produced UXO Awareness video and lesson plan.